Chasing cats may be one of the funniest things for dogs. Though they might not manage to catch them, dogs still love to do so. Your cats probably get terrified. They may cause chaos like bumping into the furniture, breaking the cups or even injury your knee. Cats may be not as playful as dogs and the way they express themselves are totally different. Cats purr when they are happy while this is a warning signal for dogs. 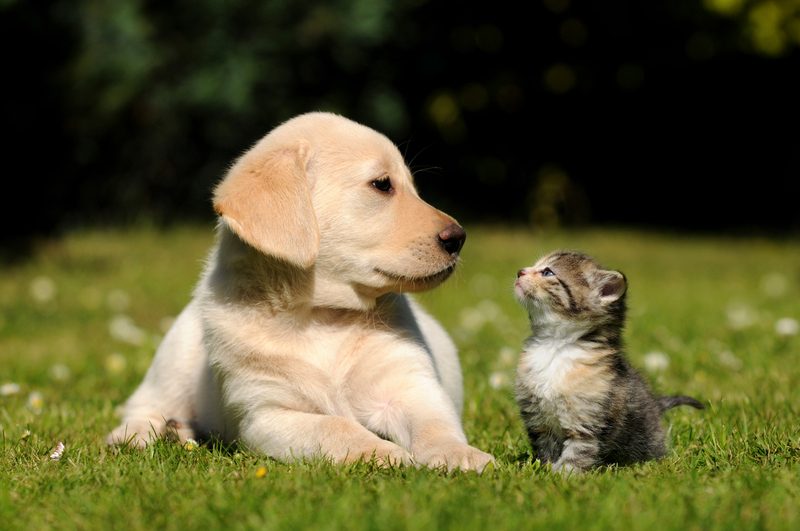 Dogs wag to show friendliness while it’s the way cats show dissatisfaction. 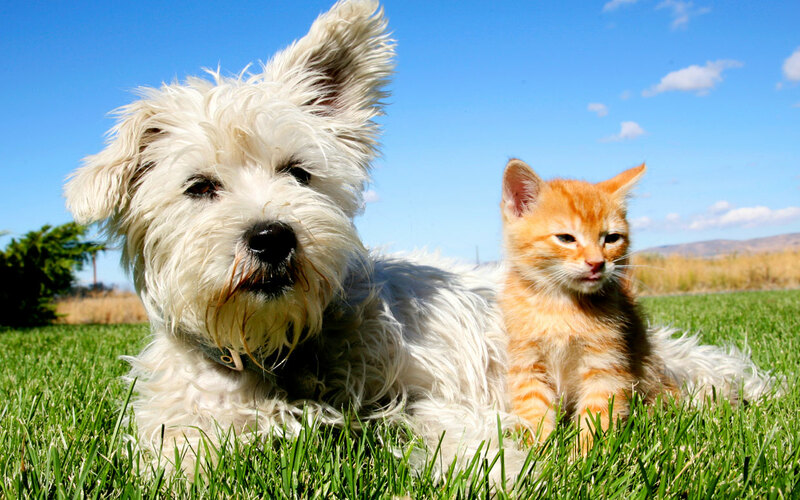 Though they have lots of differences, in many families, cats and dogs can get along well with dogs and become friends. If you want them to get along happily, you need to do some training to guide them based on their age and characteristic. In many cases, whether they can become friends depends on the cat’s character. Unlike playful dogs, cats are more sensitive and timid. 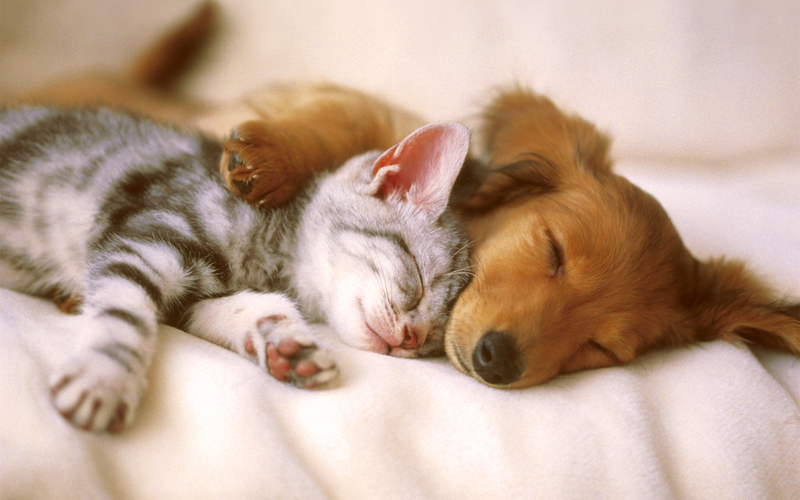 Kitties are more likely to getting along with dogs. The best way is keep the puppy and kitten at the same time. Besides, adult dog can easily get along with kittens while adult cats are not that easy to be with puppies. Adult dogs that have hunting instinct may be threatening. 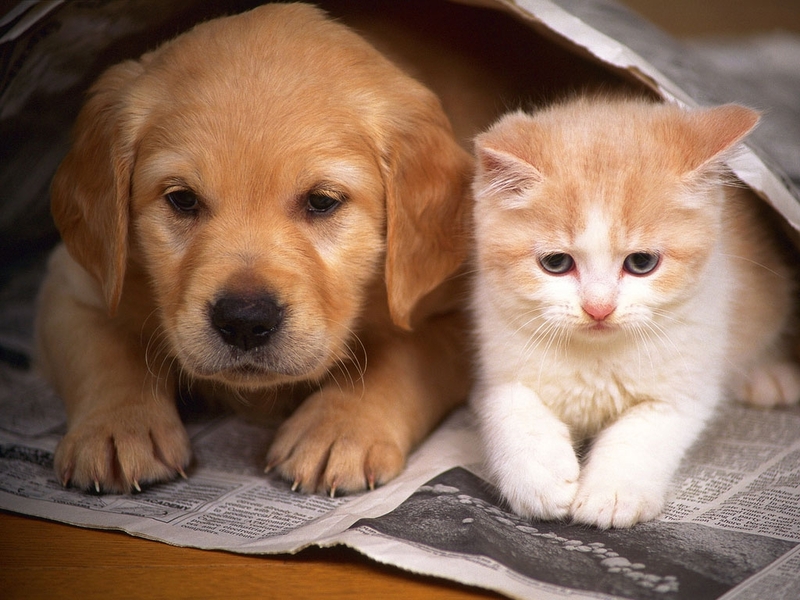 There are certain breeds of cats and dogs that are not suitable to live together. It is hard for greyhounds that are trained to hunt rabbits to live in peace with cats. Dogs like pugs whose eyes are easily hurt shouldn’t live with aggressive cats. When you introduce cats to dogs, remember to keep your dog on a leash. 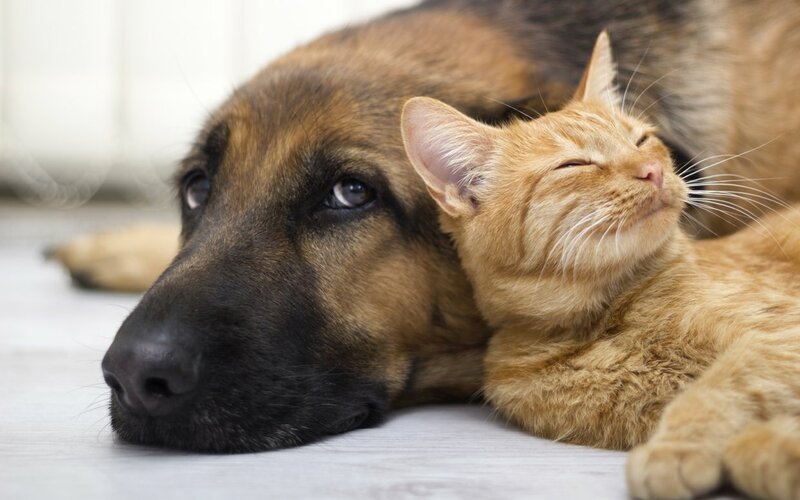 Let your cats smell the dogs if they want to but don’t force them. Don’t let your dog get too close to cats. If your dog is doing well, give him treat to praise him. Hi what breeds are the cat and dog in the second pic please?